We have designed and re-configured our client’s kitchen, breakfast room and family dining area to integrate the three more effectively and lighten what was a very dark, enclosed kitchen. 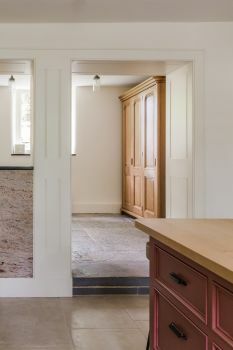 To this end we have opened up the kitchen door to connect the spaces and re-formed an opening to make a service hatch between rooms. 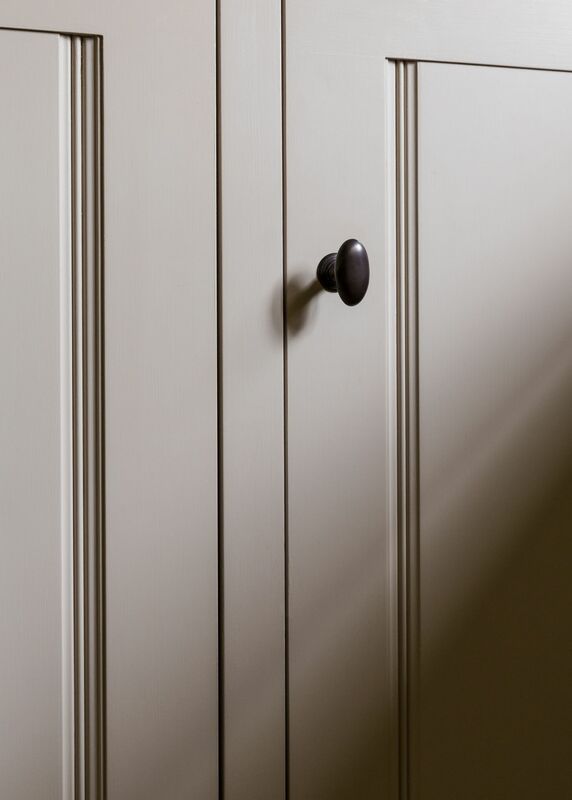 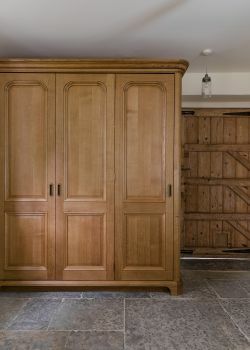 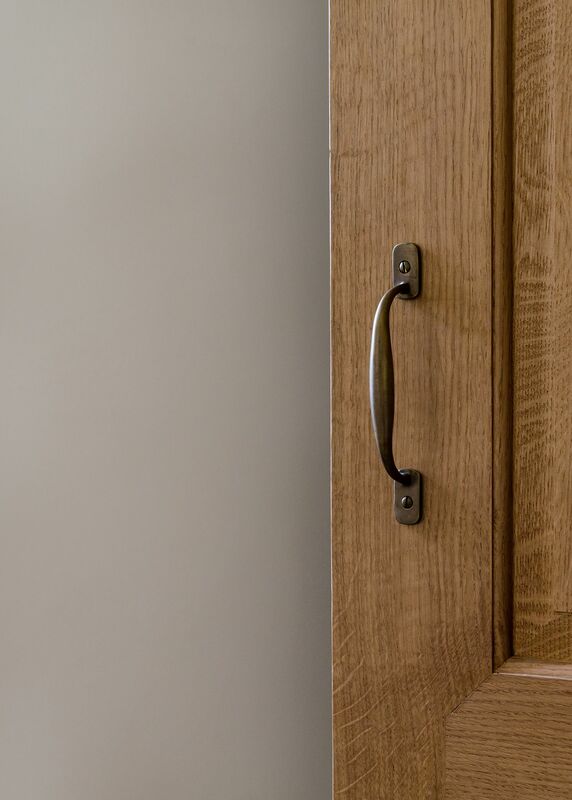 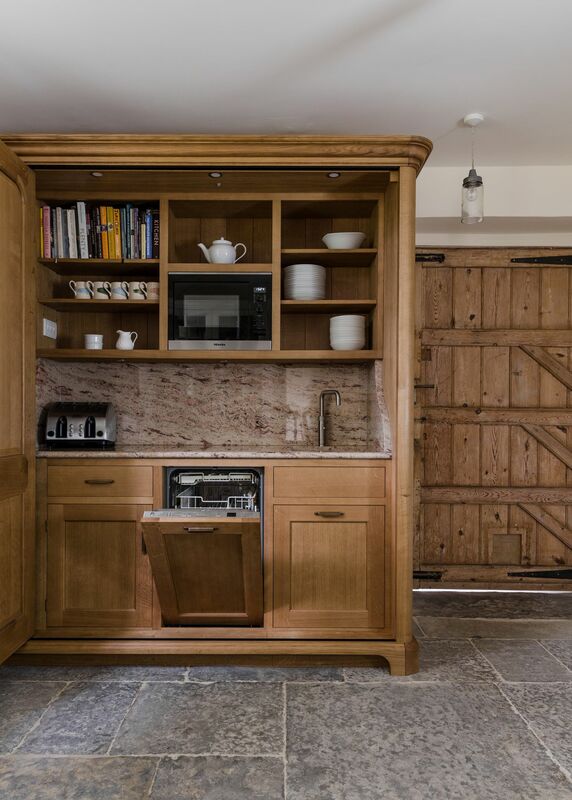 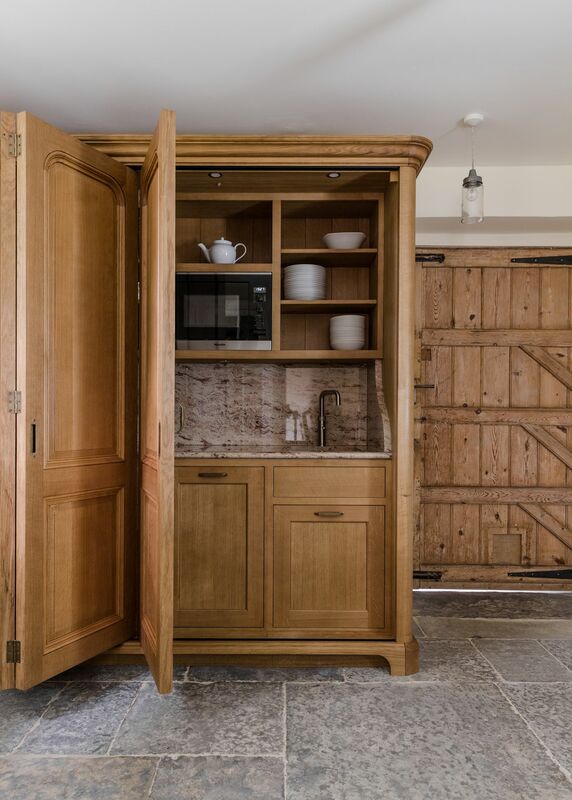 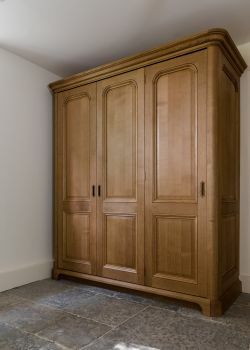 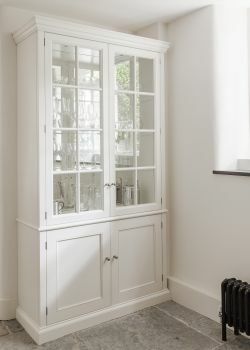 Within the breakfast room we’ve produced a solid European oak cabinet, which acts as a discreet secondary service space. 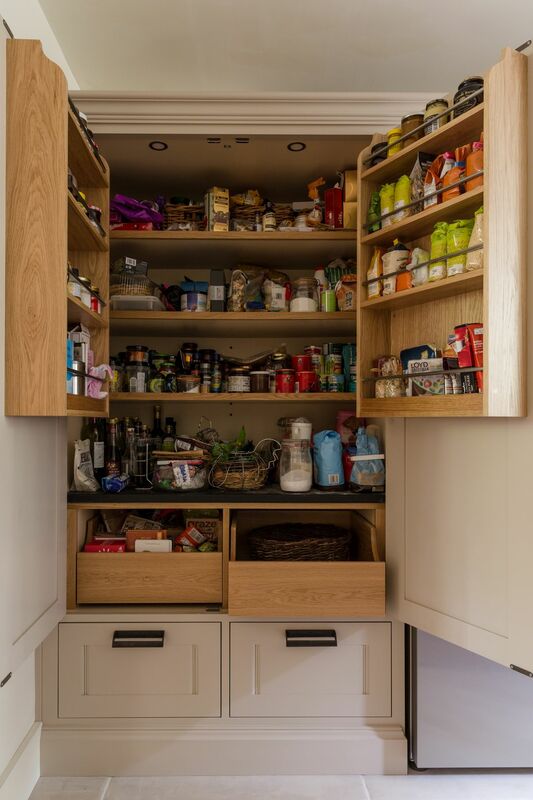 It opens on tri-fold doors and unearths a microwave, dishwasher, boiling water tap, sink, bins, cutlery drawers and storage. 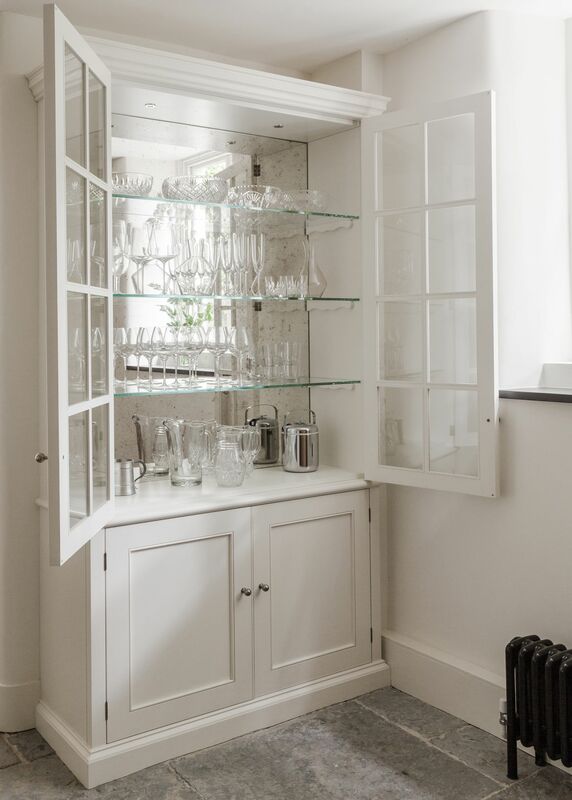 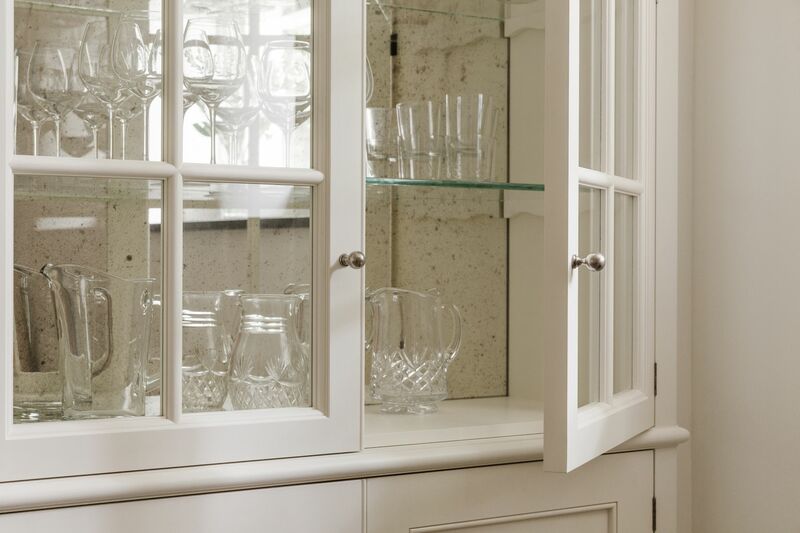 To house glassware we’ve designed a glazed dresser with an antique mirrored reveal. 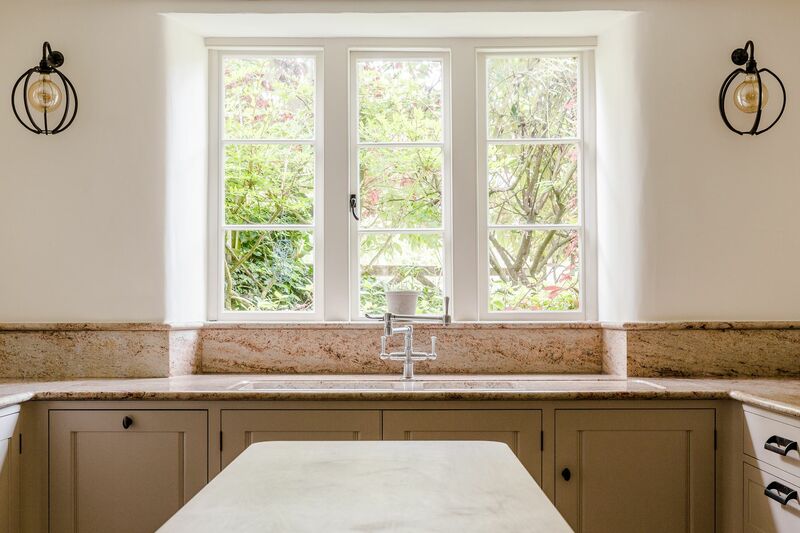 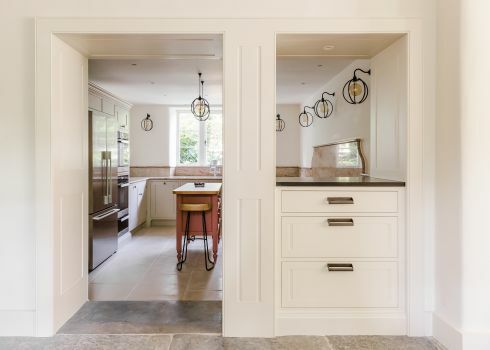 The main kitchen is in a hand painted finish with granite worktops and includes a central prep-table with deep storage drawers and room for a stool. 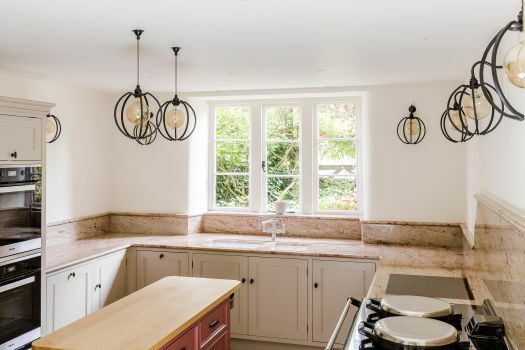 We have supplied all appliances, worktops, as well as limestone flooring within the kitchen to lighten the room further. 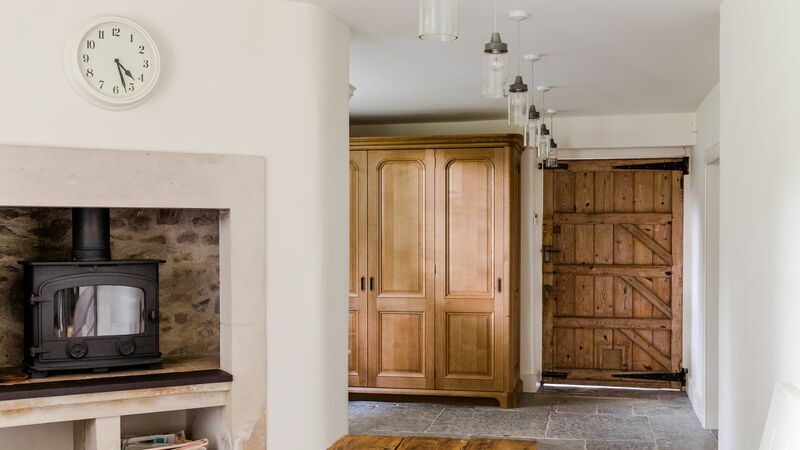 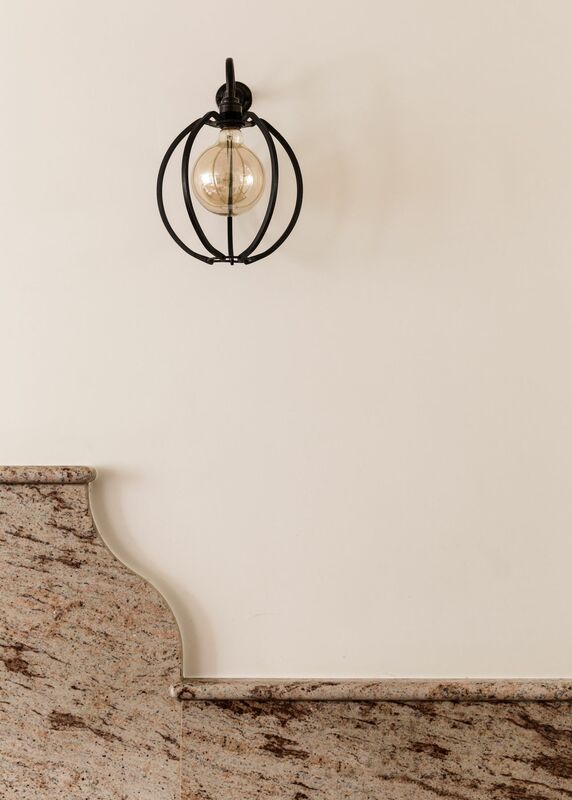 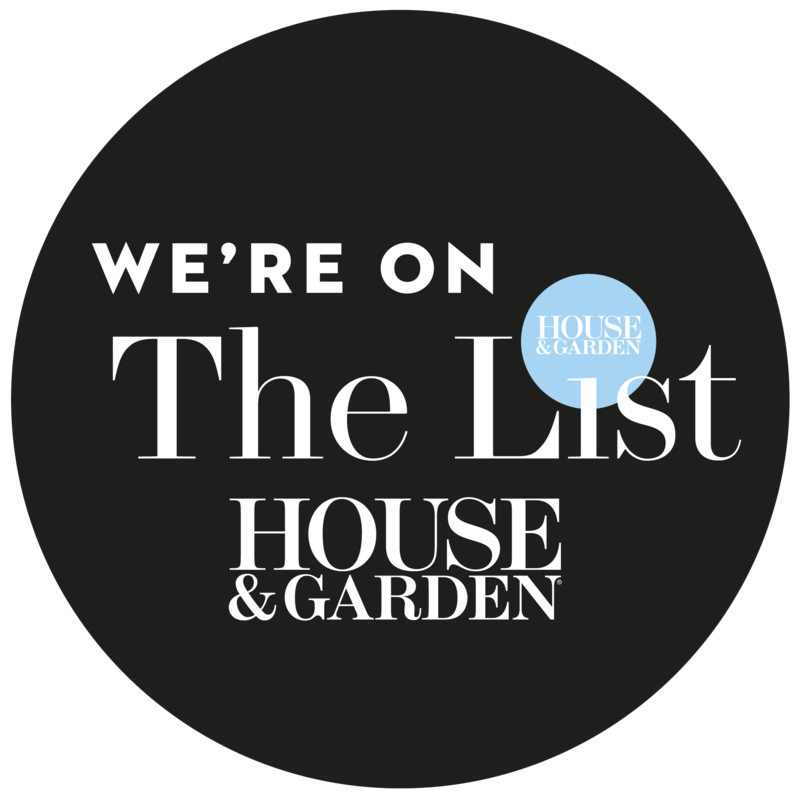 We consulted on decorative lighting and hand selected reclaimed blue lias flagstones for the breakfast room so it integrated with its adjoining dining room. All furniture carries ironmongery designed by Joel Bugg.